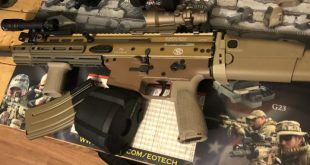 Once you read our last article (If you have not clicked HERE) and determined what the purpose of gun you want to own is you are left with lots and lots of choices. Carry Weapons are usually smaller framed semi-automatics or revolvers that are lightweight, resist dirt and are easy to conceal on your body. We will go into the various methods of concealment, holsters and types of draw in a future article. 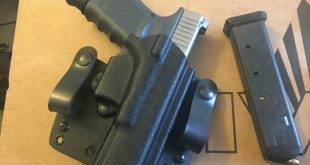 When looking to purchase your first carry gun you will be inundated with individuals who will make it their duty to protect you from making a bad choice. You can read this as they will urge you to do what they did. If you are the same size and strength as them with a similar familiarity with guns then by all means listen to them. If not then please be very careful taking advice from such people. Read the options below and make a decision that fits your individual needs. The best gun is the one you are willing to take with you everyday. 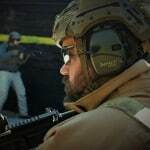 You want to have a firearm that has enough ammunition to neutralize multiple attackers that you are comfortable and accurate with firing. Further this is a weapon that should not require constant cleaning, can handle everyday wear and tear. Believe it or not a 4 caliber 1911 will fit the bill of these requirements for some guys. For others a 6 shot .380 in the pocket is all they need. The only way you will know will be shooting various guns. This is where having friends that own multiple pistols and being near a good range that rents pistols will come in handy. This is what I usually do when trying to help a new person get comfortable. I always recommend the largest caliber handgun that you are 100% comfortable shooting and that will conceal well on your body that fits properly in your hand. 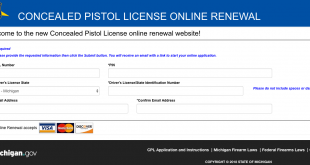 To Determine the caliber that is right for you start by renting a full size 9mm. You will not want to carry this but it is a good place to start. If 9mm is too much kick for you go to a .380 compact or sub compact pistols. If you have no issue with the 9mm I highly suggest you look at .40 caliber. If you a larger more muscular person with a solid frame then you can go to .45. It cannot be stressed enough that a 380 when shot into a person is dangerous to the person and offers effective stopping power when properly placed. In almost all cases you do not need a 45 or 44 magnum gun to protect yourself from the average self defense encounter. 40 cal Glock 27 sub compact that I carry inside the waistband for most occasions. This comes with a 9 round magazine plus one in the chamber is 10 shots. If I am going to Detroit I can carry a larger magazine as a backup but in all honesty I have never felt the need to have that much firepower. 9mm Sig Sauer p938 sub compact. 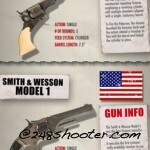 This has been reviewed in detail(Click Here) and is a great pocket pistol. This is what I wear when I am dressed up and need deep cover, cannot wear a belt or when I just when I want a lighter option. This is 6-7 rounds (depending on magazine) of 9mm plus one in the chamber. Once you have shot several calibers the real fun begins. 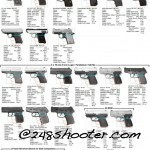 After deciding on the caliber you want there is an almost limitless list of possibilities. You have steel framed 1911 and 1911 type clones to very small composite material polymer guns and revolvers of different shapes and sizes. The next process becomes an elimination based on frame type and trigger style. We will go into Trigger types and the differences between revolvers and semi automatics in our next article later this week. Until then happy shooting and stay safe.